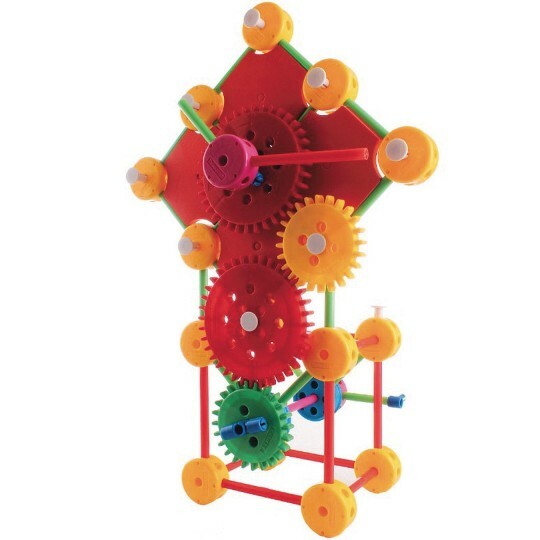 A classic construction set that is easy to build. 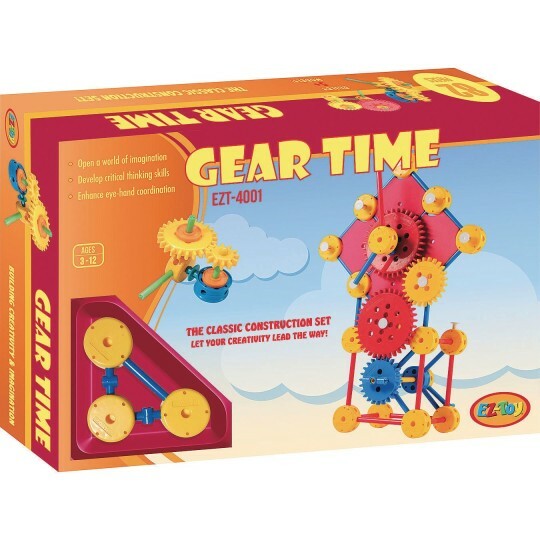 EZ-Toy Gear Time kit includes 82 pieces. Classic wheel and tube building set that is open-ended and helps build critical thinking skills. Use your imagination and creativity to build your very on design!